Captain America is Marvel Comics' beacon of hope. While other heroes are struggle to do the right thing, Steve "Captain America" Rogers always knows what to do. He's the leader of the Avengers, and an inspiration to almost every hero. But for such an idyllic character, he actually has a pretty dark and twisted past. 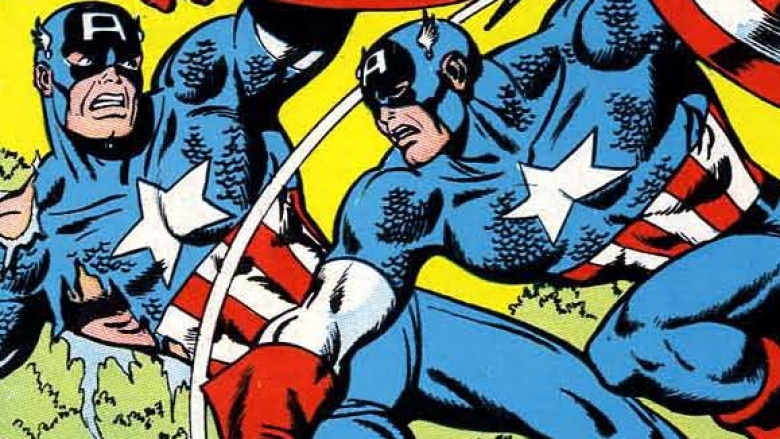 Here's the dark side of Captain America you never knew about. 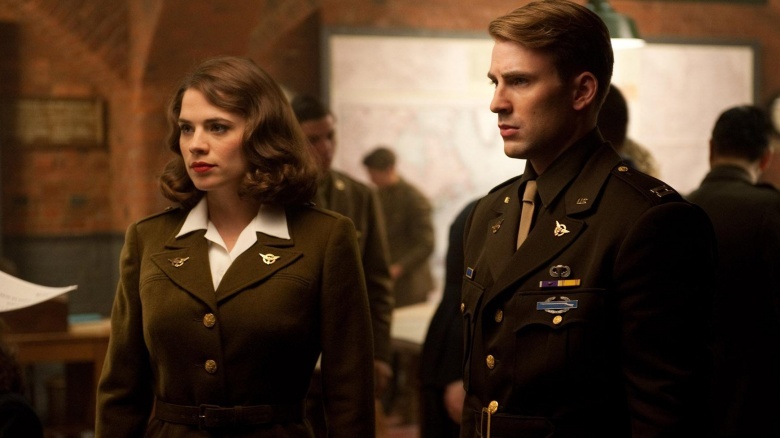 Everyone who's seen Captain America: The First Avenger knows about Steve's relationship with Peggy Carter. Those same viewers might be confused if they pick up a Captain America comic book and see that his modern day girlfriend's name is actually Sharon Carter. No, the movie didn't change the character's name and time period. Sharon Carter is Peggy Carter's niece (or maybe her grand-niece by this point). The thing is, the filmmakers didn't create Cap and Peggy's relationship just for the movie. In the comics, Cap dates Peggy Carter, falls into suspended animation, and then wakes up decades later and started dating his old girlfriend's niece. The creepiest part is that when the characters were originally introduced, she and Sharon are sisters. That detail was eventually retconned because comic book characters don't age, and not many young people these days have older siblings who fought in World War II. Also, it's never okay to date the younger sister of your ex-girlfriend, Cap. We'll make an exception for grand-nieces, since that doesn't happen often enough for this to be a rule you're breaking. 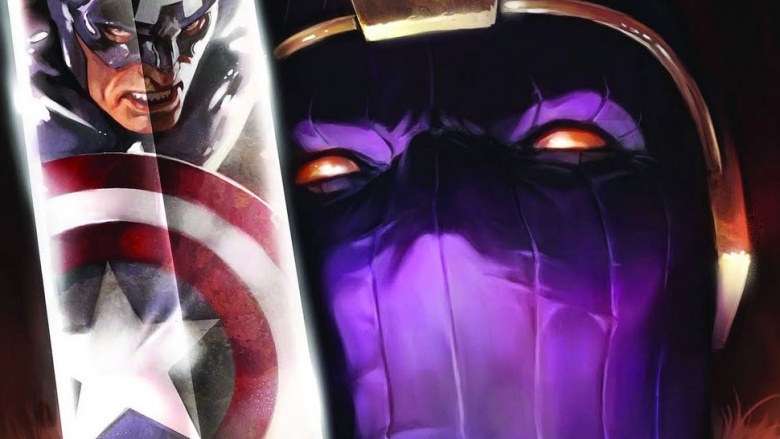 Baron Zemo isn't just a typical bad guy—he's an actual Nazi. Well, the original Baron Zemo, before his son takes over for him. He's a scientist for Hitler, which obviously means that he and Captain America don't really get along. His origin is also both equal parts horrifying and completely silly. Zemo is always seen wearing a pink hood over his head, which is because Captain America once glued it there. During the days of World War II, a fight breaks out between the two men in Zemo's laboratory, where the scientist had recently developed a super-adhesive. During the brawl, Cap purposely throws his shield at a container of the glue, dousing Zemo's head, and leaving the hood permanently attached to the villain's face. That's a hilarious punishment, but how does Cap know his nemesis would be fated to a life with a bad case of the glues? It seems more likely that he fully intended to kill Zemo with this move, since he covers all of the man's breathing holes with a quick-drying super-glue. Sure, the Zemo's evil, but death-by-glue is a real slow way to die. To be honest, Captain America is completely wrong in Marvel's Civil War miniseries, the one on which the third movie in his franchise is based. Think about it: of course it should be illegal for anyone to put on a mask and just start beating people up. In the comics, after a major tragedy involving a team of superheros, the government decides that it's time to start regulating all the superhumans. And Cap decides that it's time to start hitting other good guys in the face. While people can argue the two sides of the debates, Cap's actions are bizarrely aggressive throughout the entire series. The first actual conflict during the superhero civil war starts when Iron Man fakes an emergency and tricks Captain America and his Secret Avengers out from hiding. Interestingly, Tony Stark just wants to talk. When he goes to shake Cap's hand, Steve attacks Tony unprovoked. Hey, Captain America, that's the exact sort of behavior that the government is trying to prevent. When one guy says "let's have a conversation" and you respond by electrocuting him, it's kind of hard to claim that you're a good guy. Captain America's been fighting the Red Skull since World War II. Over the last 75 years or so, both characters have gone through some changes. 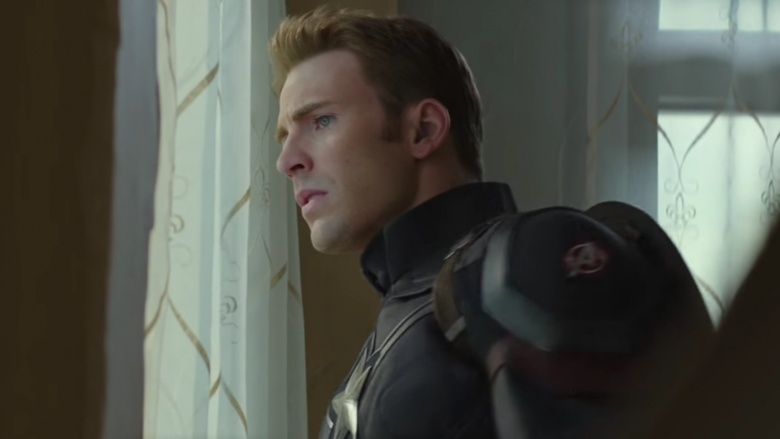 One of the most twisted changes is the fact that the Red Skull is actually living in a cloned body…of Steve Rogers? That's right, when the Red Skull's original body finally gave out, his villainous hench-scientist Arnim Zola helps preserve the Skull's brain and eventually places it in a cloned body of Captain America himself. While his mind is that of the Red Skull, it's still pretty creepy that it's Cap's body. Every time they fight, it's like Cap's fighting himself. Even weirder, before all of this occurs, the Red Skull only wears a red skull mask. 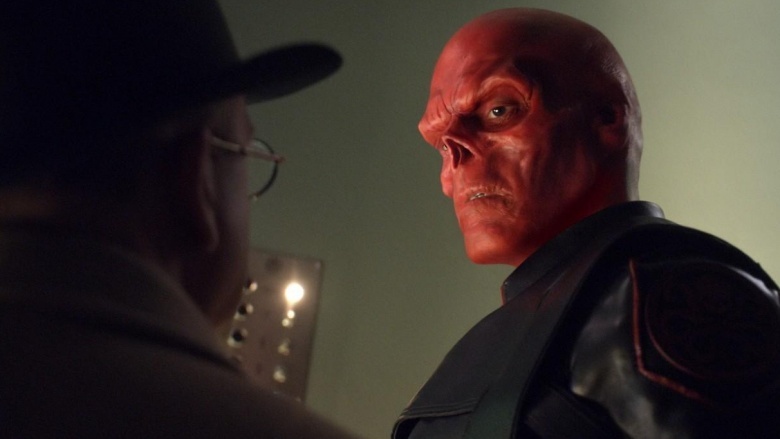 Then, while in the clone body, an accident gives him a real—and permanent—Red Skull face. 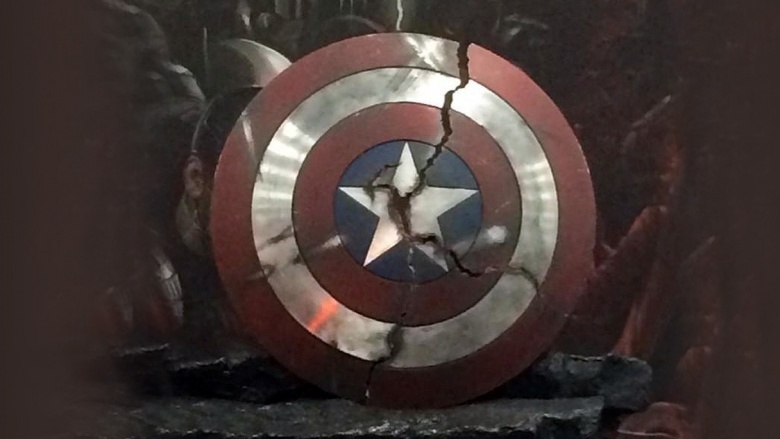 This means that the modern Red Skull that we're all used to looking at is actually Captain America's deformed face. Well, maybe not. He's switched bodies a few times, so it's unclear if his current body is a Steve body or not. There's actually been more than one Captain America. One of the most recent such changes features former Falcon, Sam Wilson, picking up the shield. During the 1950s, while Steve Rogers is still frozen, a man named William Burnside takes on the title. His origin is that he comes across the supposedly lost super soldier serum and changes his name to Steve Rogers to be just like his idol, the original Cap. Because, yeah, that's a normal thing to do. Unfortunately, the version of the serum Burnside uses isn't complete, and it makes him mentally unhinged. He becomes paranoid and begins attacking innocent civilians, believing them to be communist spies. The government eventually puts this Cap on ice, but he's revived every once in awhile to have another psychotic episode—all because he got a bad batch of super soldier serum. That's why you should always check with your doctor before ingesting any super soldier serums you find lying around. It's just good sense. The 1940s were a different time. Still, it's hard to look back on early Captain America comics from that time period and not cringe. Like most superheroes of the time, Cap's stories were used as wartime propaganda. 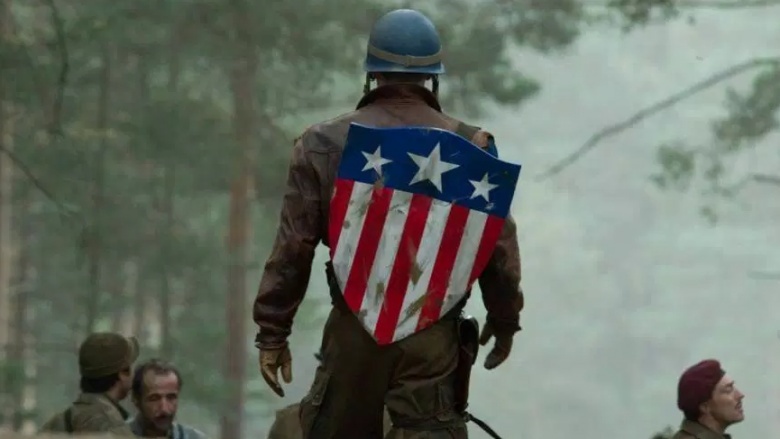 Obviously, Cap spends a lot time fighting the Nazis. He also fights Japanese enemies, and that's where things get really racist. There was the time that Cap's sidekick Bucky knocks a Japanese leader into a "truth machine," which is followed by a pretty horrifying rant against Japan. Even more unsettling is the fact that the Captain America of that time period still exists. He falls into suspended animation and is currently running around the modern Marvel Universe. Sure, the modern Cap has been revised to be more accepting of other cultures. It's just terrifying to go back and read the original, in-continuity comics and see dialogue that would make even your racist uncle uncomfortable.